Question: I have three children from 9 to 18 in age. 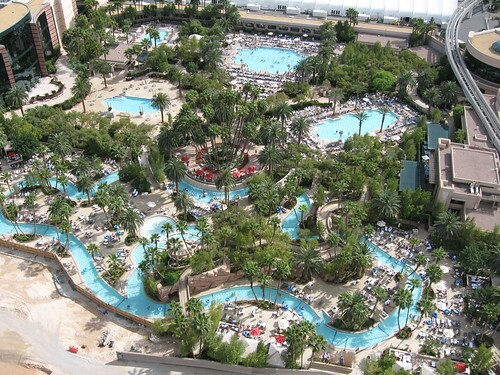 I would like to fly to Vegas stay in a hotel where the kids can enjoy a great pool with slides, etc. 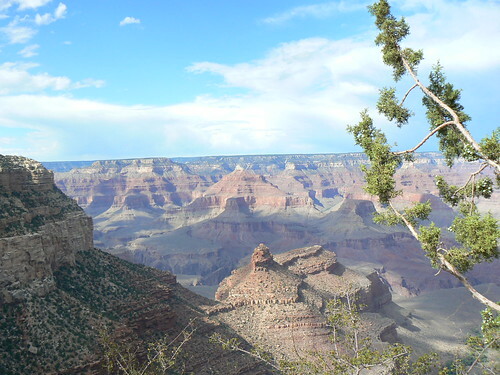 Also, I would like to go and see the Canyons, etc. I have tried researching hotels to drive to in UT, but they weren’t available. This would be in June. Can you suggest a sightseeing option or itnerary? This would probably be a 7 day trip. Thanks. June is a good time to go to Vegas hot but not too hot but it can get a bit crowded as you may or may not be aware room rates in Vegas go up hugely at weekends so your room that costs say $90 on Thursday night could cost $200 on Friday or Saturday night with that in mind you may wish to try to avoid staying in Vegas over the weekend. I am not sure that any pools have any decent slides, I know that there is a small one at Mirage but that is certainly not a resort that I would recommend to take Children to as there is nothing aimed at them. The two normal choices for taking children to is Circus Cirucs and Excalibur but both have very poor and boring pools, Circus Circus though has an indoor theme park that represents good value and an arcade but the hotel itself has seen much better days and it’s a long way down the Strip whilst the walk to the other resorts is not dangerous at night it can feel lonely and dark I would not advise anyone to stay there. Excalibur again has a concrete block with a hole in it that they fill up with water and call a pool (they are meant to be updating this)ah a quick check shows that they have updated this but I cant imagine that its all that as the area they were putting it was not very big. Excalibur does have the Tournament of Kings which is great for kids and also a Midway section that caters for them. My personal choice with a family would be MGM Grand the pools are great OK there are no slides but there is a huge lazy river and raft hire, there are the lions to look at and there is an arcade as well as screening rooms for new TV shows (which is free). I am making the assumption that you are all sharing a room and with the MGM offering some of the largest standard rooms in Vegas they also allow rollways so you will be able to get at least 3 beds in there maybe even 4. The other advantage of the MGM is that its just across the way to Excalibur so you can use all of the child friendly stuff there and walk to Luxor (without going outside) where there is floor with simulators and amusements for kids. Please don’t get me wrong Vegas is not aiming at kids and whilst what I list above seems that these are in abundance they are not either as large or as varied as say reports in Florida. Luxor could work its exciting for kids to stay in a pyramid the pool is OK its quite big but has no slides or anything, but you have direct access to the floor mentioned above and easy access to the Excalibur, MGM and NYNY. I am not sure how long you want to stay in Vegas and how long on the road so this is really more of a guess if you want something more in-depth please let me know you thoughts. Well for me the Grand Canyon is the biggest must see close to Vegas forget the West Rim and the Sky Walk, South Rim is where you want to be I made it last time in a bout 4.5hours but I drive fast I think its worth staying the night there so you and the kids can experience sunset and sunrise, there are a group of motels at the entrance to the park but we always stay on the Rim it seems daft to come all this way and then not be as close as possible this is the official link to the lodging in the park http://www.grandcanyonlodges.com/ . My suggestion here would be to leave Vegas in the morning and take a lazy drive you can stop at Hoover Dam and or Laughlin if you like and travel back in time along the old Route 66 we have done it before where we drive out in the morning stop at Hoover Dam (there is a hotel just before where you can take real cheap helicopter rides over the Dam and Lake Powell then drive on to the GC watch the Sun go down, watch it rise in the morning and drive back as far as Laughlin and stay the night there and back to Vegas in the morning. Whilst in Vegas you can make easy day or half day trips to Mount Charleston or Valley of Fire, you can also do Red Rock canyon but I was disappointed doing that. My parents did a road trip for a week last year from Vegas – Mesquite – Page – Kingham – Laughlin but they found it a bit much and wished that they had just stayed in Vegas.